As Christians seek and obtain wisdom (Pro 2:1-6) and walk in the way of good men in the paths of the righteous (Pro 2:20), they "walk before the LORD in the land of the living" (Psa 116:9). If they are upright, they shall dwell in that good land, and if they are perfect they shall remain in it. An upright man is one who is "adhering to or following correct moral principles; of unbending integrity or rectitude; morally just, honest, or honourable" (OED). A perfect man is a man who is "in the state of complete excellence; free from any flaw or imperfection of quality; faultless" (OED). Job is an example of such a man who "was perfect and upright, and one that feared God, and eschewed evil" (Job 1:1). The path on which the upright man travels is the road of righteousness which leads him away from evil. Pro 16:17 - The highway of the upright is to depart from evil: he that keepeth his way preserveth his soul. There will always be wicked men who try to entice him to wander out of the way, but with the help and mercy of God, if he continues in it, he will possess good things. Pro 28:10 - Whoso causeth the righteous to go astray in an evil way, he shall fall himself into his own pit: but the upright shall have good things in possession. The perfect man not only is blessed by dwelling in the land of the living, but, more importantly, "the upright shall dwell in [God's] presence" (Psa 140:13). In that God is "the God of peace" (Rom 15:33), the end of the perfect and upright man is therefore peace. While Solomon's words in Pro 2:21 are generally applicable to all of God's children throughout all time, they were particularly relevant to the Jews under the Old Testament. God's covenant with the nation of Israel, that they would be a peculiar people to Him and an holy nation, was a conditional covenant that depended on their obedience, which the LORD made clear when He established it with them after delivering them from Egypt, saying, "if ye will obey my voice indeed, and keep my covenant, then ye shall be a peculiar treasure unto me above all people: for all the earth is mine: 6 And ye shall be unto me a kingdom of priests, and an holy nation" (Exo 19:5-6). The if-then statement in the covenant necessitates the reversal of those promises if Israel did not keep the covenant and obey God's voice. Israel was later promised that if they loved God, trusted in Him, and kept His commandments, they would dwell and remain in the land of Canaan. Deu 11:8-9 - Therefore shall ye keep all the commandments which I command you this day, that ye may be strong, and go in and possess the land, whither ye go to possess it; 9 And that ye may prolong your days in the land, which the LORD sware unto your fathers to give unto them and to their seed, a land that floweth with milk and honey. Deu 30:15-20 - See, I have set before thee this day life and good, and death and evil; 16 In that I command thee this day to love the LORD thy God, to walk in his ways, and to keep his commandments and his statutes and his judgments, that thou mayest live and multiply: and the LORD thy God shall bless thee in the land whither thou goest to possess it. 17 But if thine heart turn away, so that thou wilt not hear, but shalt be drawn away, and worship other gods, and serve them; 18 I denounce unto you this day, that ye shall surely perish, and that ye shall not prolong your days upon the land, whither thou passest over Jordan to go to possess it. 19 I call heaven and earth to record this day against you, that I have set before you life and death, blessing and cursing: therefore choose life, that both thou and thy seed may live: 20 That thou mayest love the LORD thy God, and that thou mayest obey his voice, and that thou mayest cleave unto him: for he is thy life, and the length of thy days: that thou mayest dwell in the land which the LORD sware unto thy fathers, to Abraham, to Isaac, and to Jacob, to give them. These verses clearly show that Israel's dwelling in the land was conditioned upon their righteous obedience to God. The history of the nation of Israel is one of a people who continually rejected God, sinned against Him, and were judged for it. As a nation, they took not heed to the LORD's warnings against being seduced by the strange woman (Pro 2:16-19) and turned to idolatrous false religion and "played the harlot" and spiritually "committed adultery" against their God (Jer 3:6-9). When Israel rebelled against the LORD in the days of the kings, He sent the Babylonians and destroyed Jerusalem and removed them from the land, carrying them captive into Babylon for seventy years (2Ch 36:14-21). When the seventy years of captivity were fulfilled, the LORD allowed them to return to their land as He had promised by the prophets (Jer 29:10). For the next four hundred years, Israel continued in their rebellion against God which culminated in the rejection and murder of their Messiah, the Lord Jesus Christ (Joh 1:11; Act 3:14-15; Act 7:52; 1Th 2:14-15). In 70AD, the space of their repentance was up and the LORD sent in the Roman armies which completely destroyed Jerusalem and either killed or carried away captive all of the Jews who remained in the city (Luk 21:20-24). Those that call themselves Jews today (whether they are Jews by blood or not) do not believe in the true God because they reject the Lord Jesus Christ who is God manifest in the flesh (Joh 1:1,14; 1Ti 3:16). They hate Jesus Christ, which their writings in the Talmud* show, and therefore they hate God the Father (Luk 10:16; Joh 15:23-24). They don't believe that Jesus is the Christ and are therefore antichrists who have not God. 1Jo 2:22-23 - Who is a liar but he that denieth that Jesus is the Christ? He is antichrist, that denieth the Father and the Son. 23 Whosoever denieth the Son, the same hath not the Father: [but] he that acknowledgeth the Son hath the Father also. 2Jn 1:9 - Whosoever transgresseth, and abideth not in the doctrine of Christ, hath not God. He that abideth in the doctrine of Christ, he hath both the Father and the Son. They don't keep God's commandments, the chief of which is to believe on Jesus Christ the Messiah (1Jo 3:23; Deu 18:15,18-19 c/w Act 3:20-26). Having not believed their own scriptures, and having rejected Jesus Christ, they are therefore not upright, nor perfect, and thus they have no right nor promise from God to dwell in the land of Palestine. Therefore, the modern nation of Israel is not of God, nor is it a fulfillment of any of God's promises to Israel. They are rather "them which say they are Jews, and are not, but are the synagogue of Satan" (Rev 2:9). For the previous blog in this series, click here: Proverbs 2:20. 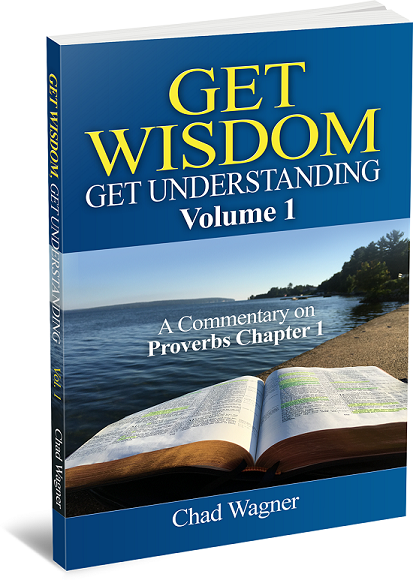 For the next blog in this series, click here: Proverbs 2:22.